Climate change around Antarctica can severely affect Australia's rainfall and even influence the distribution of wet and dry zones across southeast Asia, an international study has revealed. Chelsea Korpanty of The University of Queensland's School of Biological Sciences worked on the study, which was led by Dr Jeroen Groeneveld from the Center of Marine and Environment Sciences at the University of Bremen, Germany. 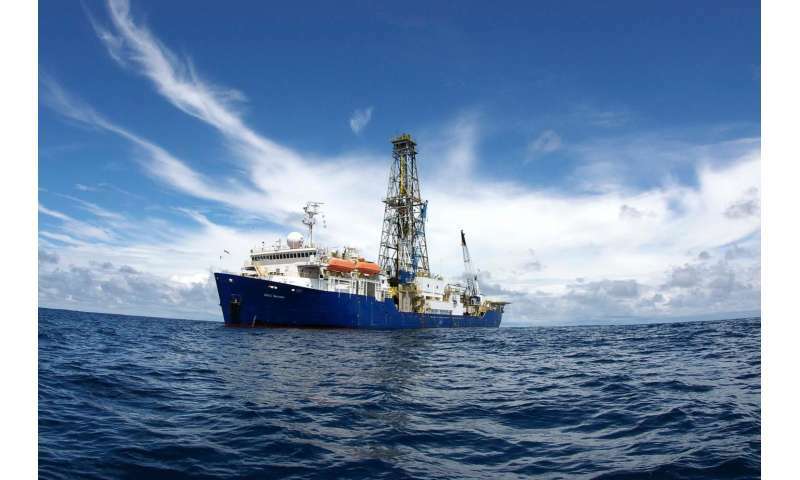 "The new study presents shallow-marine sediment records from the Australian continental shelf, providing the first empirical evidence linking high-altitude cooling around Antarctica to climate change in the subtropics during the Miocene era," she said. "Our data is consistent with the inference that expansion of sea ice around Antarctica resulted in a northward movement of the westerly winds. "In turn, this may have pushed tropical atmospheric circulation, shifting the main rainfall belt over large parts of Southeast Asia." "Today the climate in western Australia varies from north to south - in the north the seasonal monsoon brings pronounced dry and wet seasons, farther south the climate is dry throughout the year, and in the south the westerly winds bring rain during the Australian winter," he said. "Global climate during the Miocene era was much warmer than today, and at the end of the middle Miocene a large part of Antarctica became glaciated and continued to cool the Southern Ocean into the late Miocene." The findings are published in Science Advances. Record high to record low—what on Earth is happening to Antarctica's sea ice?